Established in 1987 and based in Tamworth, Staffordshire, Classic Landscape provides high quality designs and landscaping to both domestic and commercial clients throughout the West Midlands. Specialists in all aspects of landscape construction, our repertoir includes contemporary, classical and country styles, all with one clear aim: To design and deliver perfection to your garden. Our services include (but are not exclusive to): renovation of period gardens; construction and repair of ponds, streams and garden buildings; patios, decking, block paving and drives; fencing and timber structures; new lawns; and a professional tree and shrub pruning service. With quality gardens comes quality service, and we pride ourselves on customer satisfaction. We offer a fixed quotation to suit any budget, that we promise to stick to with no hidden costs, keeping the customer involved every step of the way. Already got a garden design? No problem. 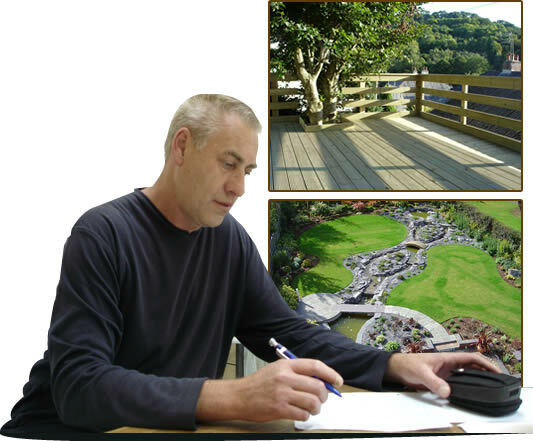 We work closely with other Garden Designers and Landscape Architects and we are happy to quote plans supplied by them. We proudly operate in Birmingham, Lichfield, Sutton Coldfield, Solihull and surrounding areas. Please browse our website and see how Classic landscape can create something spectacular for you. Classic Landscape is a member of The Horticultural Trades Association, is Trustmark registered and is a member of the Association of Professional Landscapers.